A company’s culture is defined by attitudes, assumptions and beliefs – a true body of knowledge and feelings that shapes the way of doing things of the specific business. Just like human beings, each company has a pre-set DNA, preserved in the nutshell of the founders’ vision: it has to be stated and sustained along the whole business development cycle. Corporation means in-corporating this vision and displaying it in the ‘how we do things here’, e.g. organizational culture (OC). Consecquently, OC can be a key factor in a business success or failure over the years. But the focus is mostly on the leaders’ role in ‘setting the scene’ for success, and on coaching them on how to use their potential to create that environment to motivate and welcome staff’s involvement. CEOs and management teams are in charge with leading people to the desired achievements. Leadership is fundamentally about how a chief (C) actually executes (E) the office (O) of transforming the vision into action. Usually, the statement ‘leaders are in the best position to influence culture change’ is unquestionable, but let’s spot a true challenge for a successful influence: the company culture has to be open to be influenced. What does that mean? That employees are to be ready to be manipulated? That trust and motivation are to be obtained by skillfully persuading people? Let’s face the truth that many so called ‘organizational communication programs for changing the OC’ are rooted in such beliefs, consonant with the ‘leadership proposition of the company’. Do the employees follow or is change enforced upon them? The very idea of leadership came from battle fields: leaders were the ones who ruled. But the new ‘soldier’ has a… Second life! Internet and social media challenge largely accepted findings on organizational persona. Back in the 90s, it was suggested that a meaningful company mission, employees’ involvement, consistency between whats and hows – values and deeds -, and adaptability to the business environment are closely related to ROI, return on investments. After 20 years, tens of socializing platforms, and millions of personal „walls”, the situation has dramatically changed in terms of involvement: companies have to welcome ownership as the main predictor of performance and success. But what is ownership? Ownership is the habit of being the owner of your life, and the feeling of being proud of this. If the company does not support developing ‘the habit of ownership’ for every employee, the losses could be fatal for the not-owned organizational persona. Executive coaching does play a powerful role in changing organizational culture, but change should be secured through NESTworking™ programs, in order to build and welcome the habit of owning your life in a flowing way, both personal and professional. These are not empty words, but full of true consequences: employees will choose not to split life in two: mine and ‘theirs’, for me and for them, lead by me and lead by them. 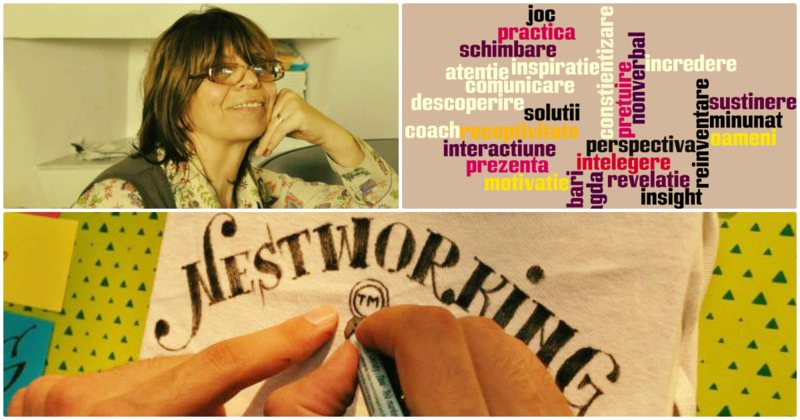 A NESTworking™ worker has to be both interpersonally effective and experienced in group dynamics, leadership and ownership development through effective coaching work, devoted to assessing and measuring both individual features (e.g., abilities, attitudes, motivation, leadership) and organizations features (e.g., results, culture, climate). Through her/his very own NESTworking™ activities she/he will ensure there is a strong link between coaching activities and personnel and organizational outcomes.